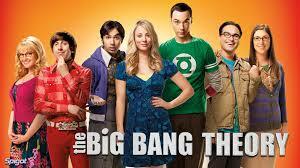 The Bang Theory is not just a television show, but the prevailing model in science of the origins of the universe. According to the theory, the Big Bang occurred 13.798 +/- 0.037 billion years ago. In this video, Stephen C. Meyer explain how the Big Bang Theory was developed through studies by Edwin Hubble. The thing that most scientists (as well as Stephen C. Meyer – who I like but he has big problems with his Christian theology and science that he hasn’t fully thought out) won’t tell you is that models have flaws – and I’m not just talking about wrinkles that the photographer has photoshopped out. I am talking about assumptions that are made and experiments and observations that go against the model. 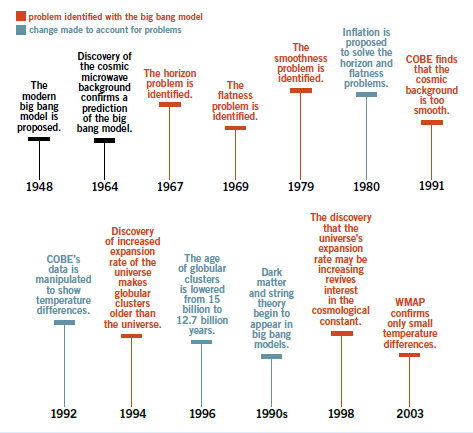 The Big Bang theory has accumulated plenty of problems over the decades that add to the assumptions and tweaking that scientists make to the model. The interesting thing is that the Big Bang Theory as it is today makes several huge and arbitrary assumptions, it does not correctly predict much at all, and it is very complex. To address these problems, scientists have tried to use theories like “Inflation” to solve them and have successfully done so, however these band-aids have added to the amount of assumptions, complexities, and inherent problems to fit the observations that have plagued the Big Bang Theory. It’s like paying off debt with a credit card – you just add to your real problem. In short, the Big Bang Theory like any other model to explain the creation of the universe has many flaws and is not true science. There is however a trustworthy, tested source of historical truth about the Creation of the Universe and that comes from the Bible. The universe did not big bang out of nothing and create everything you see by chance going against all the laws of chemistry and physics, an eternally existent God supernaturally Created everything by speaking it into existence as shown in Genesis 1. Don’t trust in flawed models but trust in the truth of the Word of God. Tomorrow I will address the inherent Biblical problems with trusting the Big Bang Theory over the Biblical account in Genesis.